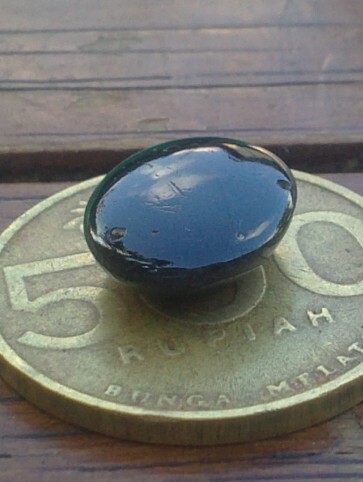 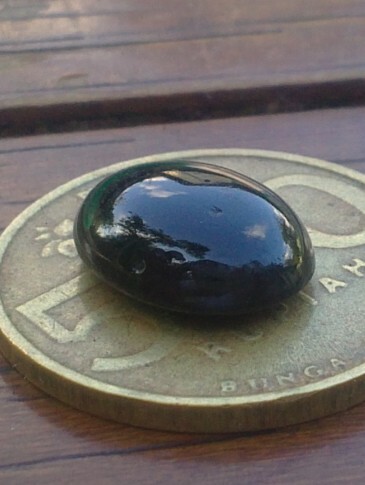 This is a natural Black Onyx, a nice and shiny black colored gemstone. 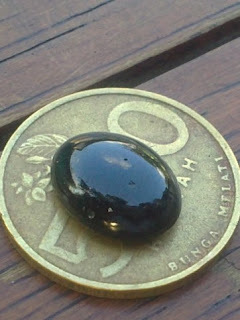 There are several small holes on the surface, but still the gems is very beautiful! 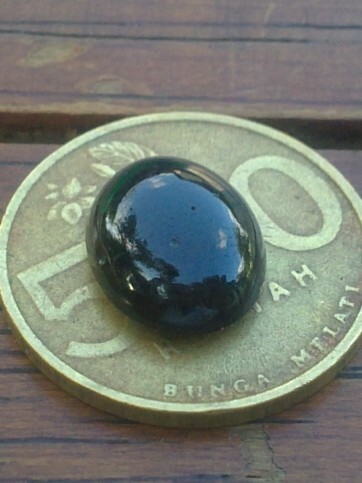 The size of the gems is 13,9mm x 11mm x 4,8mm! Price Rp. 100.000,- shipping cost is included for Indonesia delivery areas only! 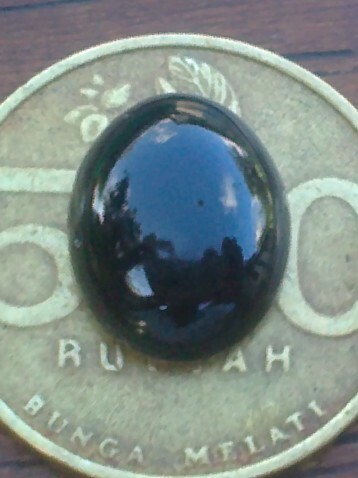 A nice black gemstone for your collections! Natural Black Onyx!